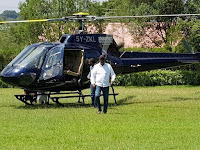 Monday August 27, 2018 - Mombasa Governor Ali Hassan Joho and Baringo Senator Gideon Moi are giving Deputy President William Ruto and his allies sleepless nights after they agreed to team up ahead of the 2022 General Elections. This comes after Joho paid a visit to former President Daniel Arap Moi at his home in Kabarak, and held a closed-door meeting with him and his son, Gideon, where they also agreed to work together to unite Kenyans. They also supported the March 9th handshake between President Uhuru Kenyatta and ODM leader, Raila Odinga, which brought about the Building Bridges Initiative that seeks to unite the country after the 2017 divisive elections. “Our agenda with Senator Gideon Moi is to unite Kenyans from all regions and tribes,” said Joho. “The two have done their best,” he said.